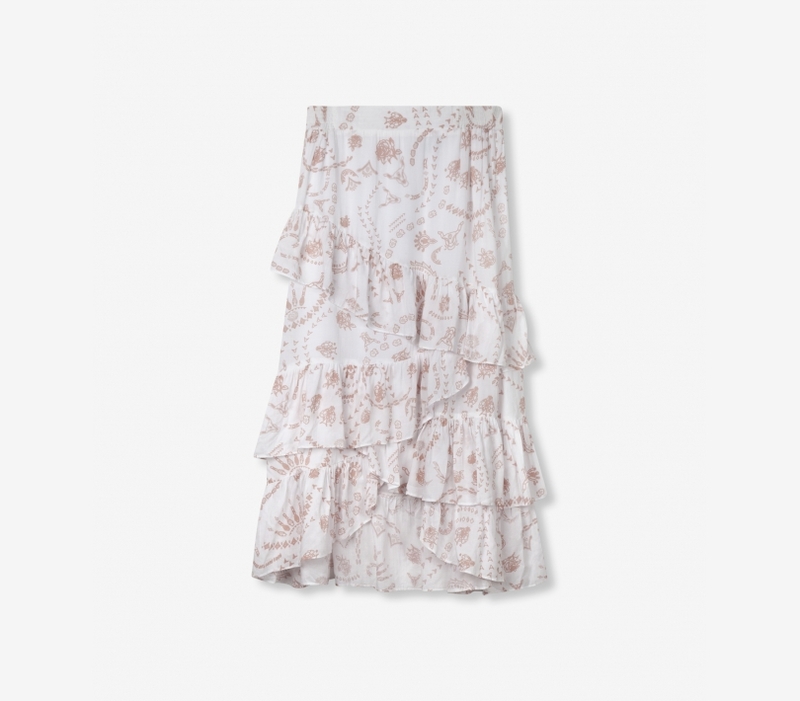 Mid length skirt with ruffles, cut from a refined modal quality with stamp print. Elasticated back waistband creates a comfortable fit. Relaxed mid length skirt with elasticated back waistband.